Nestled along 32 miles of Texas gulf coast shoreline, the Bolivar Peninsula offers everything from stunning waterfront views to charming homes to a wealth of shops and restaurants nearby. The city is renowned for its high quality of life and attracts many families, recent college grads, retirees, vacationers from throughout the US and weekend homeowners from Texas, Louisiana and Oklahoma, all of whom flock to its charming homes and wide array of amenities. Crystal Beach real estate enjoys an exceptional location close to Galveston, Houston and Beaumont. Likewise, Crystal Beach homes are noted for their affordability and offer plenty of options to discover. Whether you come to Crystal Beach looking for a spacious single-family home, a quaint vacation home or a starter home at a price you can afford, you won’t be disappointed by what this charming city has to offer. Crystal Beach TX real estate enjoys low prices and competitive interest rates, not to mention superb home values. Crystal Beach TX homes come in a wide variety of choices, including vacation homes, starter homes, single-family homes, multifamily homes, beachfront, bayfront and canal homes with spectacular views. Crystal Beach homes for sale work well for those commuting to Galveston for work as well as vacationers and retirees seeking a convenient place along the picturesque Texas coastline. All in all, the quality and location offered by Crystal Beach properties makes them among the most desirable in the Galveston region. Crystal Beach was settled at the dawn of the 20th century and grew steadily as a railroad hub and center for local commerce. The postwar years saw it diversify its economy and attract attention as a center of tourism and leisure. Today it is one of the most desirable cities in the region, boasting miles of beach as well as high livability and distinguished schools nearby. The city is known for its beautiful beaches and wide array of recreational activities such as swimming, shelling, bird watching, water sports, surfing, boating, fishing and sunbathing. Local parks and recreation centers include Fort Travis Seashore Park, Gregory Park, Noble Carl Park and the Joe Faggard Community Center. In addition to its beaches, Crystal Beach offers a bevy of attractions and interesting places to explore. Just a few of the top local attractions in the area include several world renown bird sanctuaries, such as Smith Oaks and Bolivar Flats, Fort Travis Seashore Park, nearby Anahuac Wildlife Refuge, Galveston’s Moody Garden, Schlitterbahn Waterpark and Pleasure Pier. Just a short drive to the Kemah Boardwalk or the NASA Space Center. Crystal Beach and the surrounding Galveston area is rich with events and local festivals year round. Just a few of these include concerts, art festivals, farmers markets, community parades and much more throughout the year. Homes for sale in Crystal Beach and real estate in Crystal Beach have never offered better deals than right now. Whether you’re seeking a waterfront vacation home, modern single-family home, quaint starter home or anything else in between, you’re sure to find it here. Being a Crystal Beach home buyer is the best way to experience this city’s superb quality of life and activities. 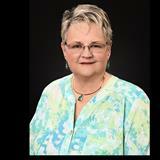 Contact Mary Ellen Smith today for assistance with Crystal Beach TX real estate.